I must say that if there is any doubt that Kreator are back, one listen to "Violent Revolution" should convince them. Do you think that you lost any fans because of albums like "Endorama"? It may have been a solid rock album, but it was far from "Coma of Souls". - I think we didn’t lose any fans; we just put some fans on hold. That’s the impression we receive from being over here. Of course, people've been following us since the 80s. When you put out 10 records, not every record can please all the fans. The only other way around would be to release the same album over and over again. That’s not what Kreator is all about. When we want to experiment, we really do it. For an old school metal head like me, "Violent Revolution" was refreshing. Are people still craving the thrash style of music? - I don’t know. I guess it doesn’t matter what the hell you want to call it. It’s about the music still. It’s about how much variety is in the music, how convincing it can be, how powerful. That’s what it comes down to. If you hear a record like"Violent Revolution" and you’re not into thrash, maybe you won’t like the record, but it doesn’t matter. We just do whatever we feel like. The cover art is, without a doubt, very Kreator. Tell me about it. - It’s the Kreator symbol, the demon head. It’s about being left alone in a big city; that’s what the whole concept is about. It’s about how the individual is suffering. You really packed a lot of music on this one. It’s well over 55 minutes. - Yes, it just turned out that way. We had so many songs and didn’t wanna throw any away. Andy Sneap’s production's really given the album a full sound, particularly with regard to the rhythm section and the lead work. Are you pleased with it? - Very much. He’s definitely a real producer in the same vein of Randy Burns back in the 80s. He’s a guitar player himself and he knows how to get the guitar tone, and he knows how to make me play better than I actually am. He gets 150 percent out of you. - About a half year. That’s typical. I was listening to "Coma of Souls" the other day and remember thinking how good the production sounded. The sound separation is good, but the sharpness and brutality weren’t lost in the production. 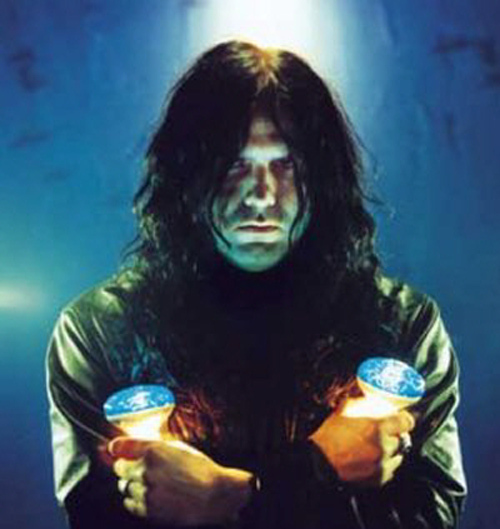 Then I read an old intie in Metal Hammer from 1992 in which you were commenting upon how displeased you were with the production on that album. Do you still feel the same way about it? - No. Back then we wanted something different. If I listen to it nowadays, I think the production is good. It stands the test of time I think. You can put it on now and it still sounds good. But back then I was looking for something different. That’s why we did "Renewal". I remember buying the "Pleasure to Kill/Flag of Hate" CD in the 80s and thinking how extreme it sounded. 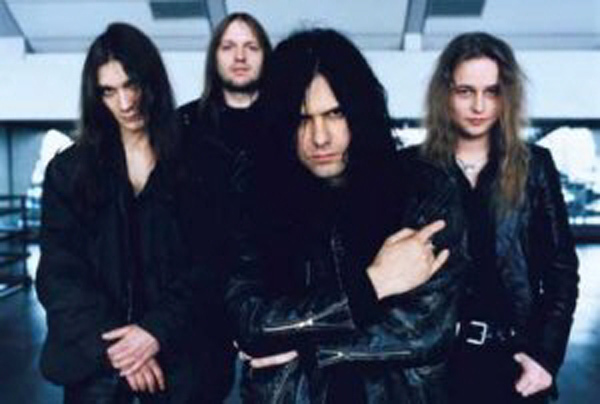 Was Kreator at the forefront of the extreme metal movement? - Among others, yeah. There have been other bands doing this music and, of course, we were one of the most extreme ones and we still are. What inspired you to create this form of music in the 80s? - We were big fans of Venom, Bathory, Mercyful Fate, and all these bands, that kind of stuff. What made you decide to go back to making a Kreator thrash metal album? - We’ve experimented long enough. We did two records that were very experimental and we were just fed up with not being able to reproduce the stuff that we do on a record in a live situation. It doesn’t make sense. And also I think, why stick with that the experiment? We just felt like doing a brutal record again. You’ve had quite a bit of turnover in the band. Share your thoughts on the current line-up. - Yeah, it’s perfect. We get along and there are good musicians in the band. Everybody’s happy. There’s no egos. It’s mostly just four individuals that know what’s best for the band. How do you handle being on the road for long periods of time? Does it bother you? - Of course it does. Sometimes you are getting a little bit tired, a little exhausted. I won’t complain. I get to see some places that I'd have never got to see if I wasn’t in this band. Is heavy metal still alive and well in the world these days? - Nowadays, yes. It’s pretty healthy.The only time when that wasn’t happening was in the late 80s when MTV, out of the blue, became metal. I think that metal doesn’t really need mass media at all. It’s word of mouth, basically. The real metal people that want to know about the bands get their info from somewhere. Promotion-wise for us in the States, it could be a little bit better and I’m working on that. Other than that, I think metal is very healthy. As a form of music, you can almost compare it to jazz or something. There’s always going to be people that are listening to this kind of music, no matter how hip or not hip it is. People grow with the music and the bands grow, and the scenes grow. It’s like it sticks with you. What about the tour plan? -We've just finished touring the US, we're doing the UK and Poland next; but we're working to visit the US more often. We've not touched it since '96, and we should go there a lot more because metal seems to be back, and it doesn’t make any sense for us not to go back there. Of course we're coming to Italy, it's always a pleasure to face a warm audience and we never happen to get a flop public-wise.